And now I got notice from a doctor that I may require more surgery. I feel even more down. He said it was a change that wouldn't require immediate surgery, but he's on vacation, so I don't know anything more. Feeling quite apprehensive atm. You really should give my close friend a call. He is a personal injury and malpractice attorney and would most likely take your case for free if the conditions of your case are accurate. PM me. It's been established it is. But because of insurance company agreements and the like nobody would take the case. No. You'd be surprised. Forty degrees curvature is in the normal range for people with hemivertebrae such as myself. THey want to operate between 50 and 60 degrees. He operated at like 42, and told us it was 54. We did. We're on a PPO now. is this advice/knowledge from an attorney already or what you've learnt yourself? 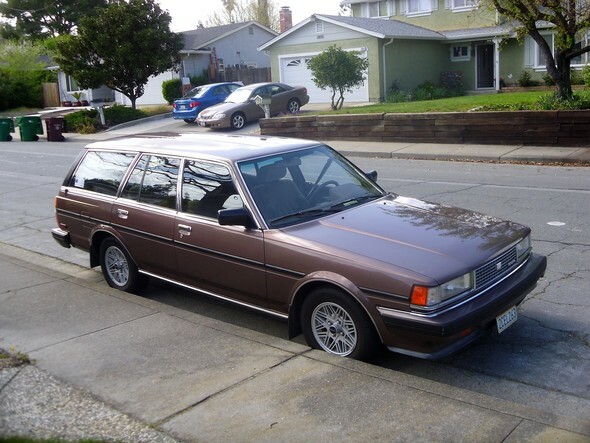 and the cressida ... looking sweeeeeeeeeeeeeeeet. Probably won't repaint it though. Combination of money, and the fact my grandma doesn't want me to change anything lolol. And we called some law firms. They all basically said "we'd win, but there isn't enough money involved." Also now my mom is friending me on facebook Advice?